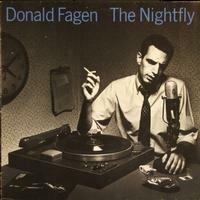 A portrait of the artist as a young man, The Nightfly is a wonderfully evocative reminiscence of Kennedy-era American life; in the liner notes, Donald Fagen (one of the two masterminds behind Steely Dan, the seminal jazz-pop band of the '70s) describes the songs as representative of the kinds of fantasies he entertained as an adolescent during the late 1950s and early '60s, and he conveys the tenor of the times with some of his most personal and least obtuse material to date. Continuing in the smooth pop-jazz mode favored on the final Steely Dan records, The Nightfly is lush and shimmering, produced with cinematic flair by Gary Katz; romanticized but never sentimental, the songs are slices of suburbanite soap opera, tales of space-age hopes (the hit "I.G.Y.") and Cold War fears (the wonderful "The New Frontier," a memoir of fallout-shelter love) crafted with impeccable style and sophistication.